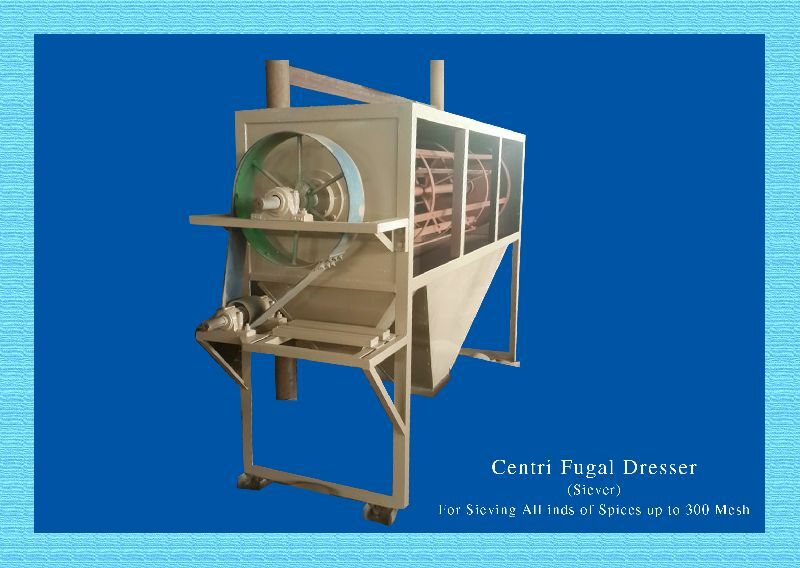 We are proud to introduce ourselves as one of the best Centrifugal Dresser Manufacturers and suppliers, located in India. It easily suits nylon and steel sieves of different mesh. We proffer centrifugal dressing machine in various ranges like mild steel, in stainless steel and stainless steel lining. Our optimum quality centrifugal dressing machine is available at pocket friendly prices. Designed and Manufacture with Precision Technology. Totally enclosed Dust proof Rotary sieving Machine works on the Principle of Centrifugal action. Thorough sieving and excellent grading. Designed to suit Nylon and steel sieves of different Mesh. Sturdy Construction hence free of Vibrations. Available in wide range of capacities in Mild Steel, Stainless Steel & Stainless Steel lining. Applications : Sieving powders of Spices, Dal, Turmeric, Cosmetics Pharmaceuticals, chemicals, minerals and fibrous Material.